My RED Venice exhibition will be on show at Magnet Galleries Melbourne from 11 April to 4 May. Red Venice is an unusual look at the everyday life of a remarkable city. The characters are porters, businessmen, tourists and the ancient streets, buildings and waterways. Each scene is recorded in light unseen by the human eye and divided into the sharp and the softly suggested by a special lens. This unique combination of subject, technique and composition gives every image an individual appeal and a fresh insight into a wonderful city. I will be the guest artist at Art on Piper in Kyneton from Monday 11th February to Monday 11th March with my latest selection of work: RED Venice - 22 new works in infrared light using modified lenses to give an unexpected twist to the city of dreams, love and bridges. X3 prints of Melbourne on display at the Magnet Gallery Summer Salon: Level 2, 640 Bourke St, Melbourne. I will have 9 new images of Melbourne for sale on Saturday, January 13th at the Heide Makers' Market from 10am to 3pm. The Heide Market is in the grounds of the Heide Museum of Modern Art in Bulleen, Victoria. All around are fascinating sculptures, pleasant parklands, shady trees and the Yarra River. I'm back at the Heide Makers' Market on the second Saturday of September, October and November from 10am to 3pm. The Heide Market is in the grounds of the Heide Museum of Modern Art in Bulleen, Victoria. Whatever the weather, I will be at the Rose Street Market on Sunday June 11th, Sunday June 25th and every Sunday in July and August between 11am and 5pm. I'm back at the Heide Makers' Market on Saturday April 1st from 9am to 2pm. The Heide Market is in the grounds of the Heide Museum of Modern Art in Bulleen, Victoria, and close to pleasant parklands and the Yarra River. To start off 2017 I will be at the Heide Makers' Market on Saturday January 14th and again on Saturday 11th of February from 9am to 2pm. ​On Sunday January 29th I will be at the Como House Boutique Market in South Yarra from 10am to 4pm. As well as the magnificent Como House and gardens to explore, the sculpture park on Herring Island is only minutes away. I have one final date at The Rose Steet Artists Market for this year: Sunday, November 6th between 11am and 5pm. Then I will be at the Heide Makers' Market on Saturday November 26th and again on Sunday December 18th from 9am to 2pm. At every market I have over one hundred matted prints for sale, perfect as gifts or ready for framing and hanging on your own wall. Whatever the weather, I'm back at Rose Street Market every Sunday in September and October between 11am and 5pm. I've added two new galleries to this site with all of the printed market images on display. A big thank-you to all of the January and February Rose Street Market visitors for the supportive comments, appreciation, purchases and conversation. Small prints are now on offer and the range is expanding every week. Come and see my images in print at the wonderful Rose Street Market every Sunday in January, February, March and April (except Easter Sunday). Almost ready for 2016 and a stall at the Rose Street Artists Market in Fitzroy. To market! To market! I've begun the process of selecting, printing and getting all the required stuff together. ANZANG 2015, My shortlisted entry for the 2015 ANZANG Nature Photography competition in the monochrome category can be seen here. ANZANG 2015, I've been shortlisted for the 2015 ANZANG Nature Photography competition in the monochrome category. Plans are afoot for two market stalls in several Melbourne locations by mid-year. The first six months of 2014 was spent on a black and white photo-a-day project posted on flickr. Due to time constraints and other projects I cut the year-long project down to six months. The second half of 2014 was spent on five test prints of book projects and experimentation with hand-made and modified lenses. Lovett Gallery, Rear of Town Hall, Cygnet, Tasmania. Huon Art Exhibitions Group. Two water-flow images on canvas on show. January to July 2012. Weld Echo 2012, 17/2/12 to 28/2/12, The Long Gallery, Salamanca Art Centre, Hobart, Tasmania. Opening night is Friday February 17th from 6pm. Special guest speaker Christine Miln (Australian Greens). This exhibition has finished. My one-off "Book of the Weld" has sold. Southern Exposure 2012, 3/3/12 to 18/3/12, Cygnet Town Hall, Cygnet, Tasmania. Opening by Matthew Evans (the Gourmet Farmer) at 6.30pm, Friday March 2nd. All welcome.Two images on canvas on show. This exhibition has finished. 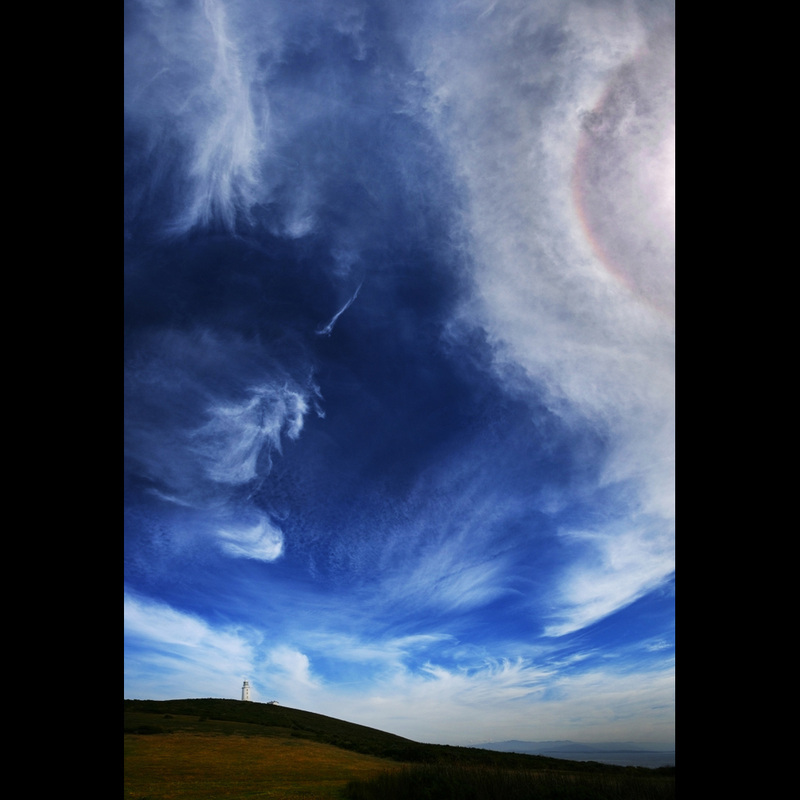 "Cape Bruny Cloudscape" won the excellence in photography award. Wild Tasmania, November 2012, The Long Gallery, Salamanca Art Centre, Hobart, Tasmania. ANZANG 2012, October 2012 - 2013. My image of flowering grass trees after fire has won the botanical section of the 2012 ANZANG Nature Photography competition.